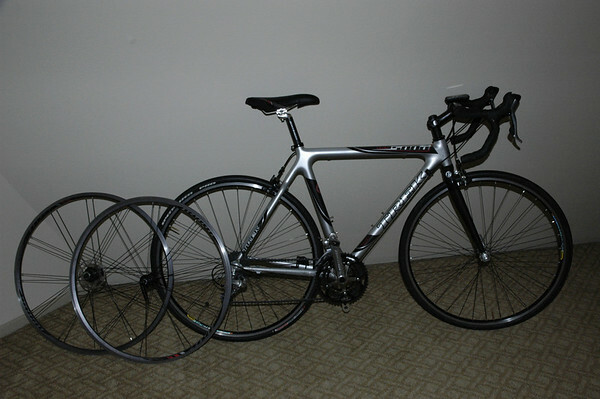 I know a few people that are lookin for used road bikes, so if you have some you're lookin to get rid of, post em here! to continue this weird nite of mine...I made it over to Paul's for the Pedal & Pub and decided to bail at the last minute even as the "bicycle ninjas" were saddling up. So to atone for my sins...anyways he's got a few good looking geared bikes in his shop currently, so check out his stock. Atomic Cycles, click on the Choppercabras link on the Links page. My bikes are always for sale... however, I'll probably only part with them for more than they're worth. But hey, If you or your friends ride a 58-62 give me a shout and I may have something for you. i gotta free agent 24" cruiser for sale. it's sweet. let me know if ur interested. Road bike for sale? I’ve got one here that I thought I’d offer to the Ridazz first: This is a 1976 Raleigh Grand Prix, built in Holland by Gazelle, a Raleigh subsidiary. It’s a real stylish vintage bike, very pleasant to ride. 23 1/2” frame, standover height is about 33”, somewhat small for me, but I’m 6’5”. This bike is at least 99% original, right down to the tires and the handlebar tape. Looks like it was ridden for a few months back in ’76 then put away for 30 years, just a few minor scratches and light surface rust in some places. The only things I’ve changed are the idler wheels on the derailleur and the brake pads. The bike is completely ride-able as is, and needs nothing. I’ve taken it on a few rides and it always gets admiring looks. My asking price for this fine piece of cycling history is only $175. Post here if you’re interested or have questions. More pics on request. yo, I've got two really nice 58 cm aluminum frames, both with full carbon forks, that I'm selling, an as new Parkpre and a lightly used Cannondale R3000 CAAD5. and a Schwinn world 80's bike that is converted permanently to fixed. I might have 3 2007 Cannondale Synapse SLs for sale a 54cm, a 50cm and a 48cm. They are in great condition. We are selling the bikes because my nephews have outgrown the bikes and are getting new ones. The bikea originally retailed for approx. 3,000 - 3,500 each, I am asking 1500 - 2000 each for them. I can post more detail if anyone is interested. @sc_nomad - synapse! damn lucky kids! stphotog, how much are you lookin to get for that schwinn? Yup lucky indeed. My first full size bike was 3 speed schwinn that I bought used for 20 bucks in 1976 and was too big for me. Just last weekend, I saw a kid that couldn't be more than 14 yo on a BMC Pro Machine SLC01 with a full Campy Record Gruppo, approx worth was around 8K. just wondering, why dont the kids move up on the bikes, sell just the smallest one and then buy one for just the tallest? Kids don't move up on the bikes cause they want to trade up. It's hard to buy a new one for one and not the other. The 54cm is mine and is too big for the older kid. looking for road bikes for friends all sizes. 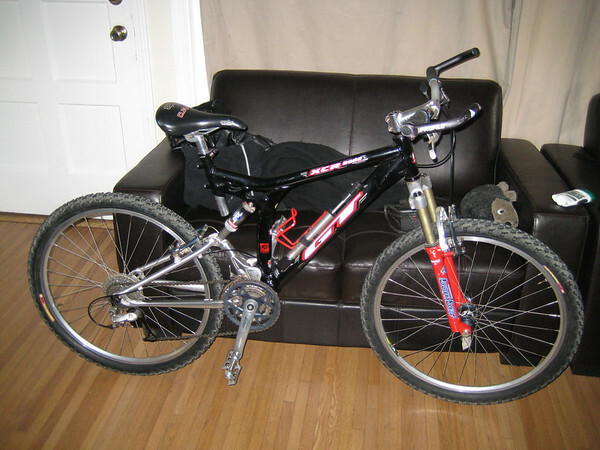 Mr. Rollers: a friend of mine is looking for a bike. can you send me your email address? This GT XCR2000 which has just been completely recabled and tuned and is very low miles despite being quite old. Make an offer. Size is a 16" or so. 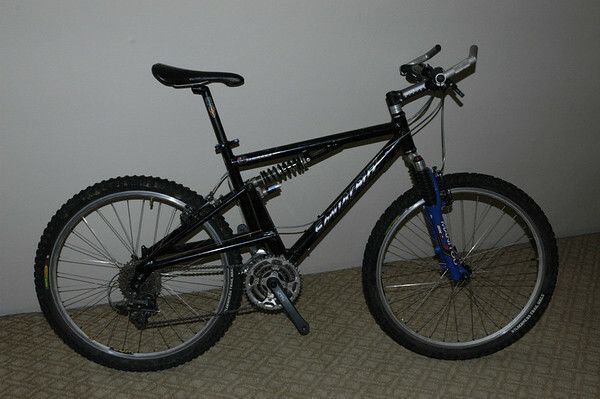 and this Trek 5000 which has maybe 500-1000 miles on it. It just didn't make a good commuter. It is a 53 or 54cm, I'm sure, but can't confirm it from work. Idea - How much for the 5000? still looking for a fixed gear sized 52-54cm or so! My touring bike is still ready for a new owner. 1) 1970 schwinn road bike blue in original condition. 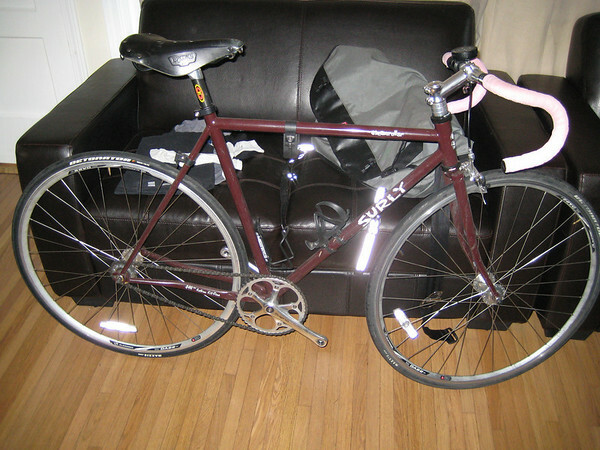 I bought new specilaized tires and tubes, new brake cables, new brake pads, new cable wires, new handle bar tape. Bike runs good for an older modle collegiate bike. asking $125. lIcense stickers from the 1970's proves the year.